4 bay simultaneous charging / full color OLED display / PWM controlled fan / all aluminum housing. With Active Thermal Management . The uPRE’s successor is here ! Audioroot is proud to present the MKII version of our leightweight / low footprint / high performance battery operated portable microphone preamp uPRE. This new design includes many mechanical and electronic improvements including a digital AES/SPDIF output. You can find more about this unit by clicking here. 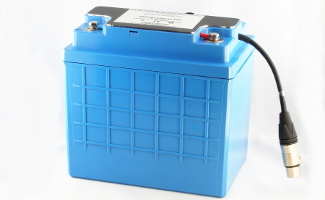 Check out our new high power 40Ah smart LiFePo4 battery ! With an energy capacity of 512Wh and a weight of only 6Kg our new LiFePO4 smart battery is a perfect candidate for direct replacement of SLA batteries. It is 100% compatible with our smart power distributors and can be charged using our new eLC-PO10 10A charger. NEW : eSMART-LiFe lithium-iron phosphate batteries. AUDIOROOT is proud to present it’s latest product line of high power LiFePO4 batteries. These batteries available in 9 and 20Ah capacities are now eSMART enabled and fully compatible with our power distributors with integrated fuel gauge technology. The eSMART LiFe-115Wh and eSMART LiFe-256Wh are a perfect match to our latest dual battery power distributor for location sound recording : K-ART. Add 1 or 2 low cost LiFePO4 travel chargers to your kit and you will get the perfect power solution for your sound cart. The eSMART LiFe batteries are also compatible with our compact power distributors eSMART BG-DU and BG-DU-REG. NEW : location sound cart dual battery power distribution system eSMART K-ART. 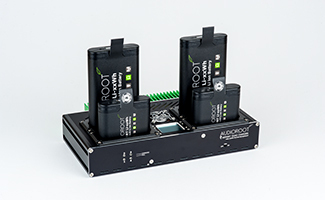 The AUDIOROOT eSMART K-ART is a low footprint power distribution box with a total of 16 DC power outputs and 4 x USB 5V outputs. The K-ART includes 10 led illuminated power switches, a main power switch and 2 battery fuel gauges. Like it’s little brother eSMART BG-DU the K-ART is fully compatible with any type of battery ranging from 9 to 18V. When used with our eSMART Li-xxWh batteries the K-ART provides full battery informations without any calibration routine. 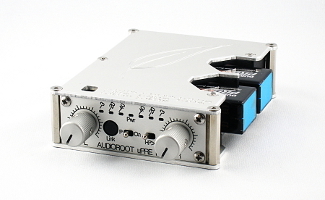 Check out our new portable battery powered microphone preamp Audioroot FEMTO. The AUDIOROOT FEMTO is a high quality battery powered mic preamp that was designed for location sound recording ( ENG, EFP, music, etc…). It combines in a single box a high gain – low noise microphone preamp with 48V phantom powering, a 80hz 12dB/oct high pass filter and a beautiful OLED screen for audio and battery level information display. Are all sound operators really, really boring people? Consider this cautionary tale. A good friend of mine was returning from a trans-Atlantic shoot on the west coast. Drawing the shorter of the straws he was seated next to the sound man, who over the next nine hours dedicated the conversation to the vexed subject of batteries – types and varieties thereof and the pros and cons of the different charging regimes, and not by any means ignoring the fascinating area of battery chemistry. Needless to say by the time they set foot on Heathrow tarmac, they were close to a suicide, or at the very least a murder. 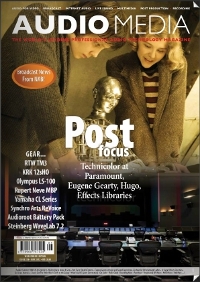 But the truth is, we love our batteries, and a new system for sound recordists is big news.